Composer is a cross-platform tool for dependency management in PHP. It allows you to declare the dependent libraries your project needs and it will install them in your project for you. Composer is very easy to use and makes web development even more faster and easier on Windows. 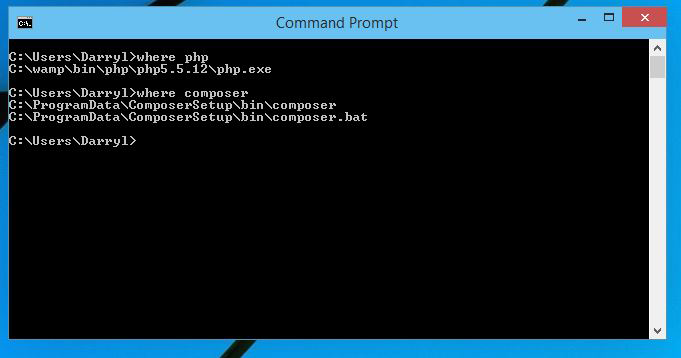 To install Composer all you need is PHP compiler installed your Windows machine. 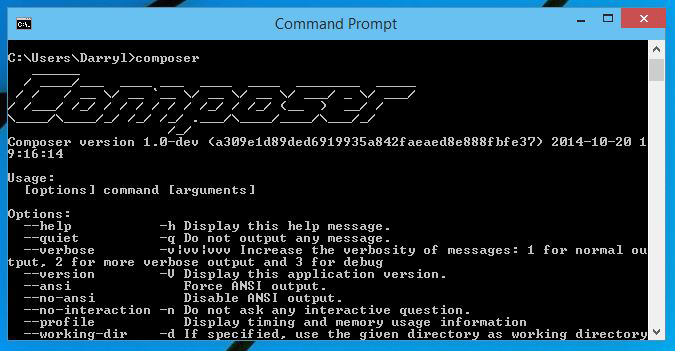 First lets get Composer-Setup.exe for Windows. 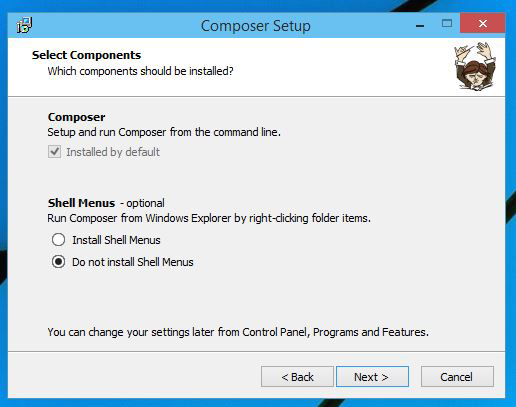 Once you are done downloading Composer-Setup.exe need to execute the Composer-Setup.exe file. The installer wizard should look something like this. Now the setup wizard should look something like this. Click next. If you prefer not installing Shell Menus. 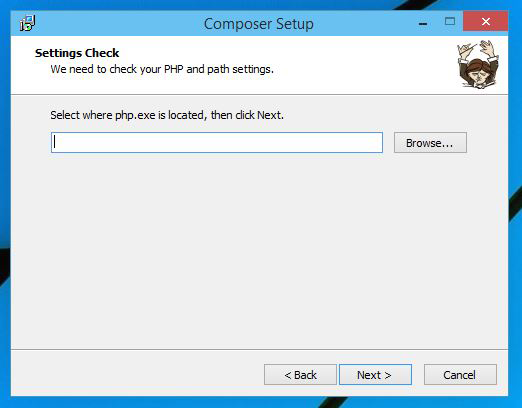 Now Composer-Setup wizard would ask you for the path where PHP is located. Once you have entered the correct PHP path you can click Next. 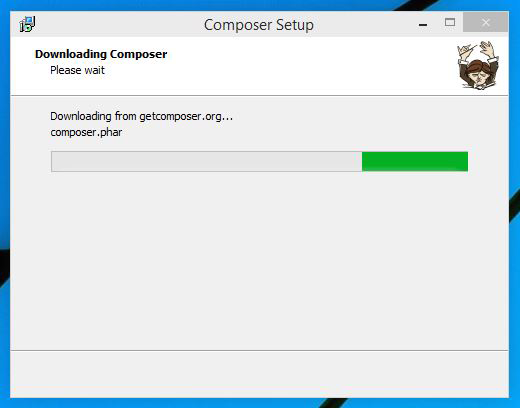 Now Composer will download the required files and setup on your Windows system. 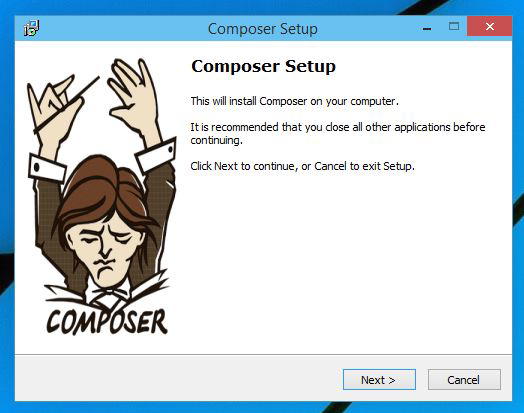 Now you have Composer installed on your system.